Truly understanding issues of social justice and taking effective action requires knowledge and skills in areas such as economics, politics, philosophy, education, religion, sociology, and more. 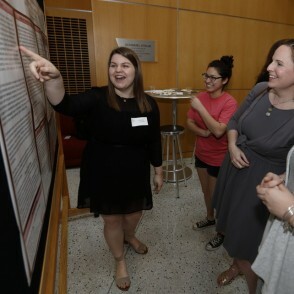 OWU's social justice major will help you develop the knowledge and skills needed to analyze social injustices and theorize and work toward positive social change. 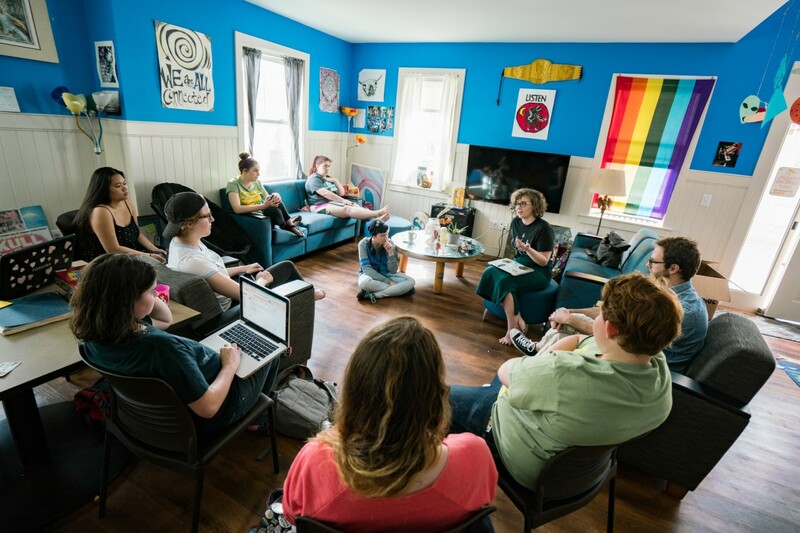 Ohio Wesleyan's interdisciplinary social justice major brings together coursework, faculty expertise, and practical experience from many fields to help you cultivate the knowledge and skills to analyze social injustices and work toward positive social change. You will develop the knowledge and skills to think critically on the meaning of social justice locally and globally, examine the dynamics of societal conflicts, and analyze social issues from many perspectives. 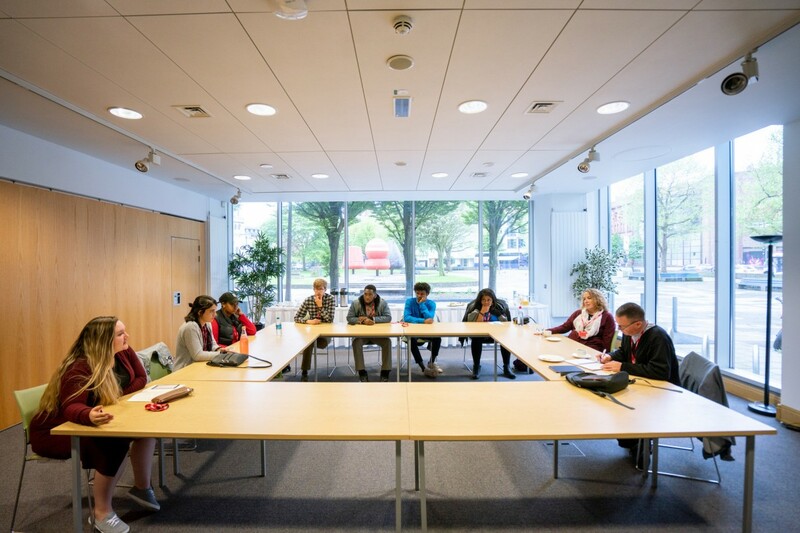 The major also is highly flexible, allowing you to deeply explore issues related to areas such as race, global feminism, gender, Latin American culture, labor economics, poverty, civil rights, and the environment. You will supplement your classwork with practical experience in an applied project, and you will have opportunities to explore other cultures through Travel-Learning Courses, Theory-to-Practice Grants, and service-learning projects. In the interdisciplinary Social Justice major, you take classes in many disciplines, and explore major issues from different perspectives. We emphasize intellectual curiosity, creativity, initiative, and synthesis. You also have many opportunities to pursue undergraduate research, performed under the mentorship of expert faculty. In a senior research project, Morgan Christie '16 examined links between racial socialization, coping, and racial beliefs. 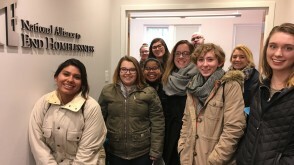 Working with Prof. Paul Dean, sociology students Laura Benson ’18, Jude Fahoum ’17, Caitlin Maggio ’17, Kelsey Morrison ’17, and Solomon Shepherd ’17 surveyed approximately 150 Ohio Wesleyan University students to understand the factors that lead students to become involved in social activism. 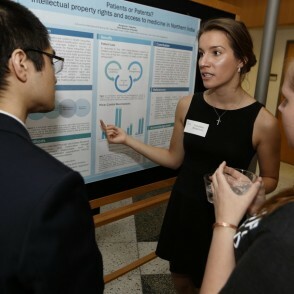 In a research project on access to medicine in India, Valentina Marginean ’16 used a human rights framework suggested by philosopher Johnathan Wolff and found if stakeholders perceive an obligation to protect intellectual property they risk inhibiting access to generic medicines. 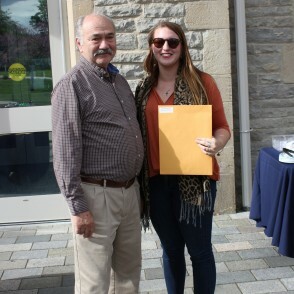 Diana Muzina '17 earned Departmental and University Honors for her senior research thesis exploring stereotypes and perceptions of Greek women. Diana now works as a Diversity and Inclusion Specialist at Abercrombie and Fitch. 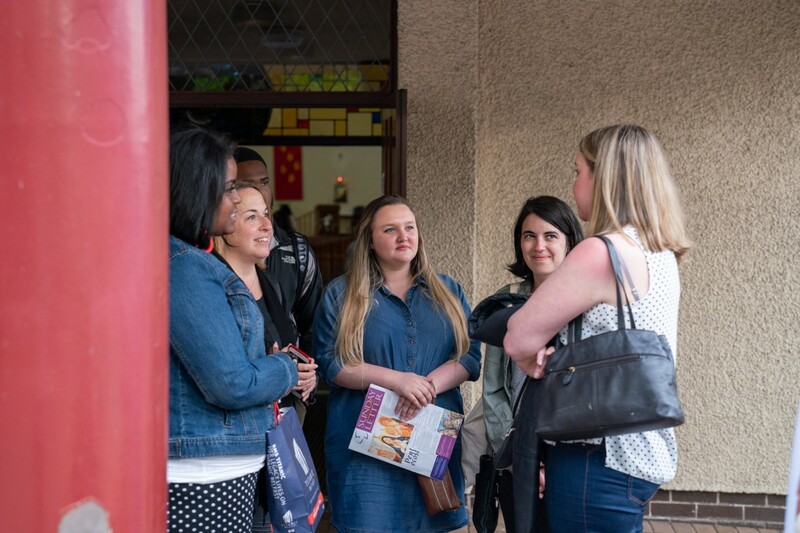 OWU offers many ways for you to take your studies off campus and gain a global perspective. 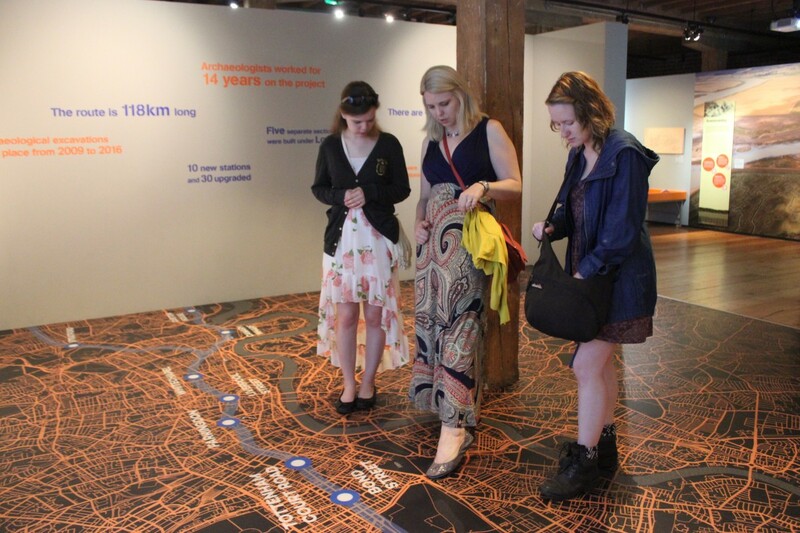 Travel-Learning Courses combine classroom study with travel to areas of the world where you may study the issues discussed in class in the settings where those events are occurring. 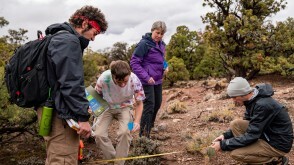 Other travel-learning options include semester-long programs and Connection Grants, and spring break service trips. 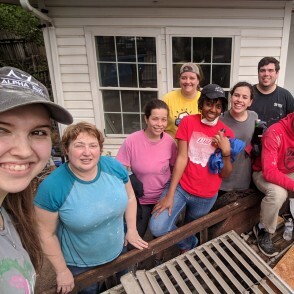 Katie Kuckelheim ’19 (left) joined a team of OWU students in 2018 for a spring break trip to help rebuild a family's Houston-area home following Hurricane Harvey. 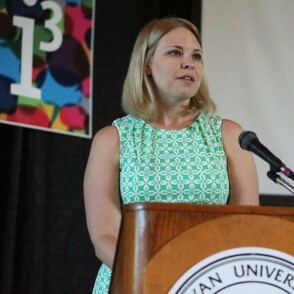 Cara Harris '18 attended lectures about the psychology of The Troubles of Northern Ireland and intergenerational trauma among the community while on a Theory-to-Practice Grant. 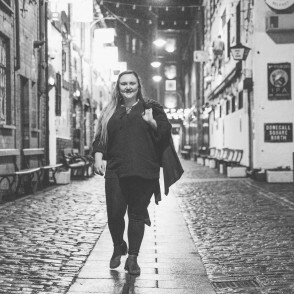 HannahJo Grimes '20 used a Theory-to-Practice Grant to compare racism in America to sectarianism in Northern Ireland. 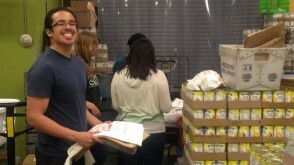 Every social justice major completes an internship or faculty-mentored applied project. 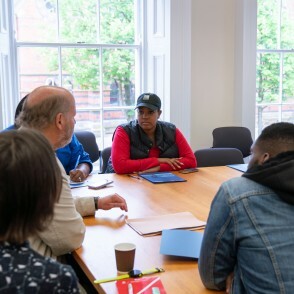 These experiential components of the program will help you develop career-related skills, such as community organizing, working with and mediating diverse social groups, presenting ideas in professional forums, and managing real-world projects. Trevor Martin '19 received a Golden Bishop Award for his on- and off-campus devotion to social justice causes and organizing. 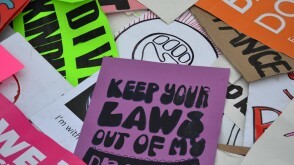 Trevor is passionate about worker's rights, economic justice, immigration, and ethical political organizing. Reilly Reynolds ’16 used a Theory-to-Practice Grant to travel to Arequipa, Peru, to help start a bakery at San Miguel de Porres, a school for students with disabilities. She also was a finalist in Project Green Challenge, an international competition promoting environmentally conscious and sustainable living. 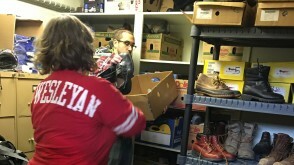 Every spring break, teams of OWU students spread out across the nation and in Central America doing volunteer work. 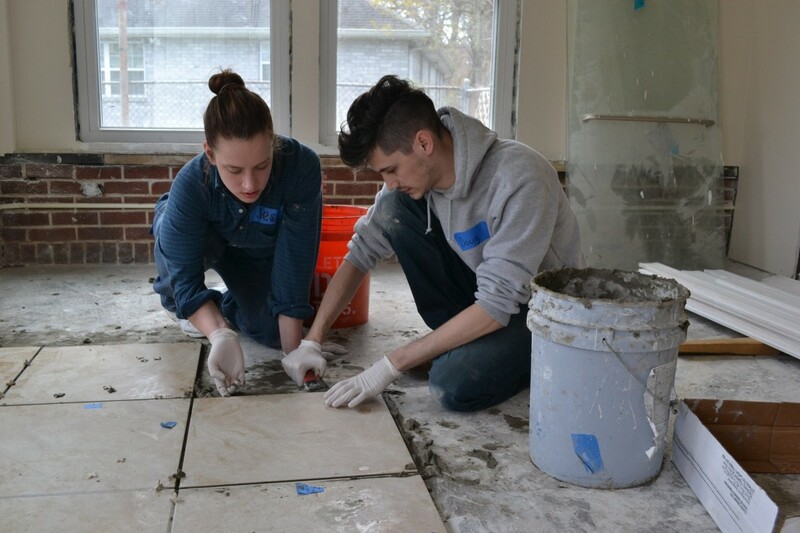 These Interfaith Service Week projects have provided community support in New Orleans, Chicago, El Salvador, Nicaragua, and many more locations. It's spring break with a greater purpose. 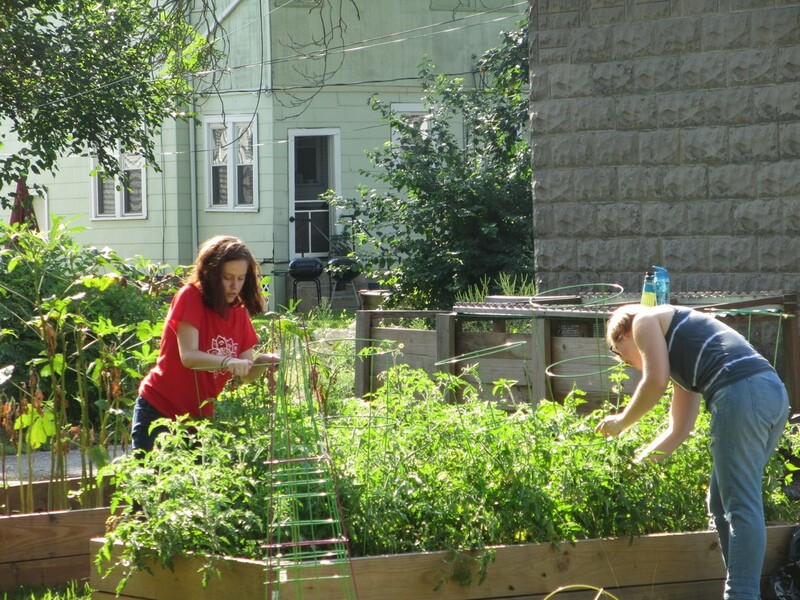 The Peace & Justice House has been a Small Living Unit at OWU for more than 30 years. 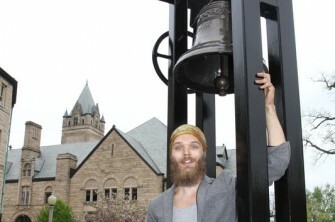 To commemorate the SLU's 30th anniversary, Owen Kelling '16, created this bell, which now stands near Elliott Hall. The social justice major includes courses from more than 10 departments, making double-major options easier for students. Combine social justice with a major in economics, politics & government, Spanish, or another discipline. 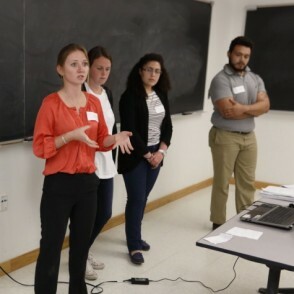 Members of the Sociology/Anthropology Department Student Board serve as liaisons between students and faculty, interview candidates for faculty positions, and plan special events. 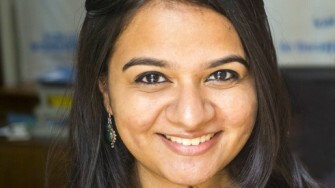 Jija earned a master’s degree in Public Policy from Drexel University and is now a research intern at United Nations Educational, Scientific and Cultural Organization (UNESCO). 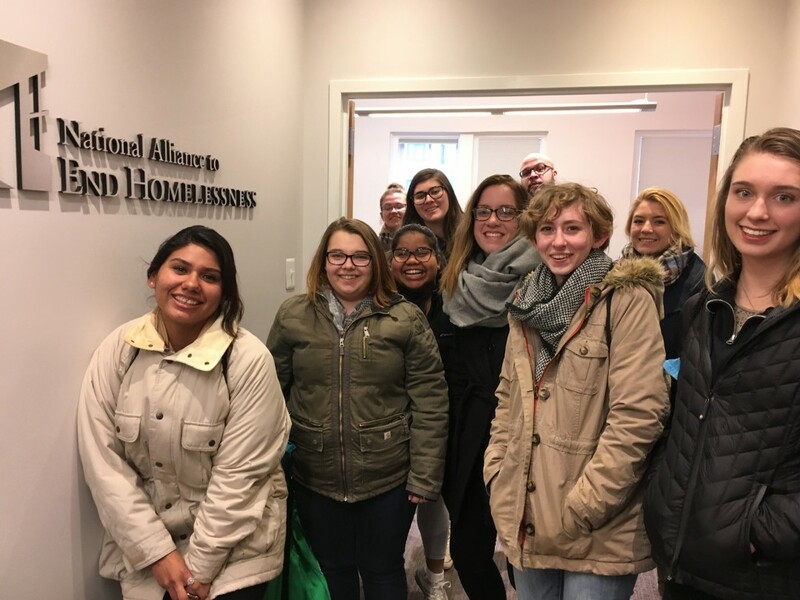 Rewarding careers in social justice can be found in government agencies, nonprofit organizations, religious institutions, law firms, and educational institutions. 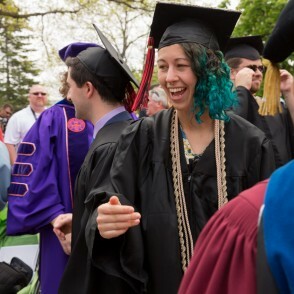 Graduates may work in areas such as aging, children & family services, civil liberties, homelessness, labor, poverty, victim services, and many other areas serving people in need. Jessica Nare '08 is the Director of Leadership Programs at the Jewish Family Service of San Diego, a nonprofit dedicated to helping families move towards a better life and self-sufficiency. She won the Tannenbaum Prize from Hadassah, the Women’s Zionist Organization of America, for her work empowering young girls in the Jewish community. 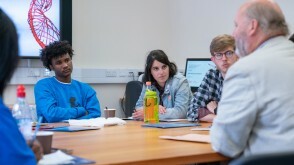 The social justice major can help prepare students for a variety of graduate programs, including law, public administration, dispute resolution, social work, public health, regional & international studies, dispute resolution, theology, and more. 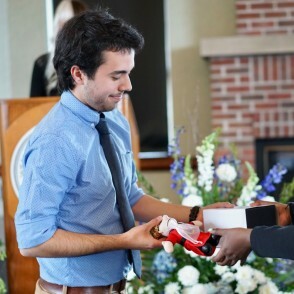 Ben Andrews '12 earned both his Masters and PhD in Sociology from The Ohio State University. 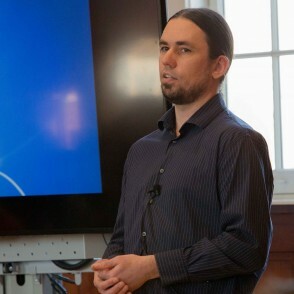 He currently works as a Research Analyst at Colorado State University, where he studied economic precarity and insecurity among students. Lisa Ho, Assistant Director of International and Off-Campus Programs, frequently works with students passionate about conflict resolution, peace and reconciliation, social justice and community engagement. 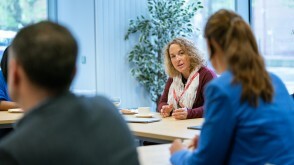 Above, she talks with lecturers from Ulster University while on a Theory-to-Practice Grant with students. 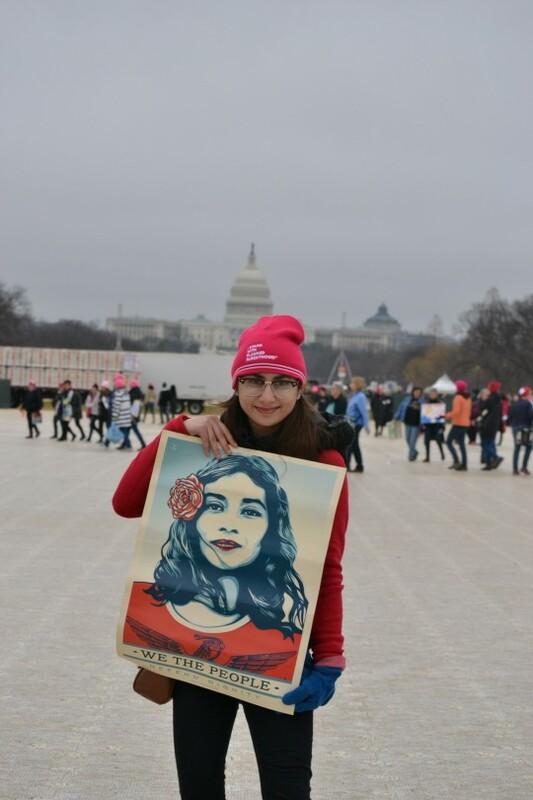 Aimen Shah '20 poses with her protest sign at the Women's March on Washington. 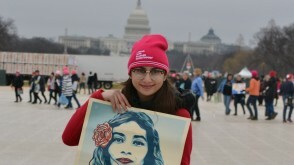 On campus, Aimen is actively involved in women's rights activism. Annie Spink '18, a resident of the House of Peace and Justice, served as a leader in activism for the rights of indigenous people. 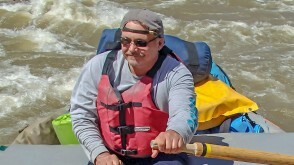 She participated and lead several service trips to the Lakota nation in South Dakota. 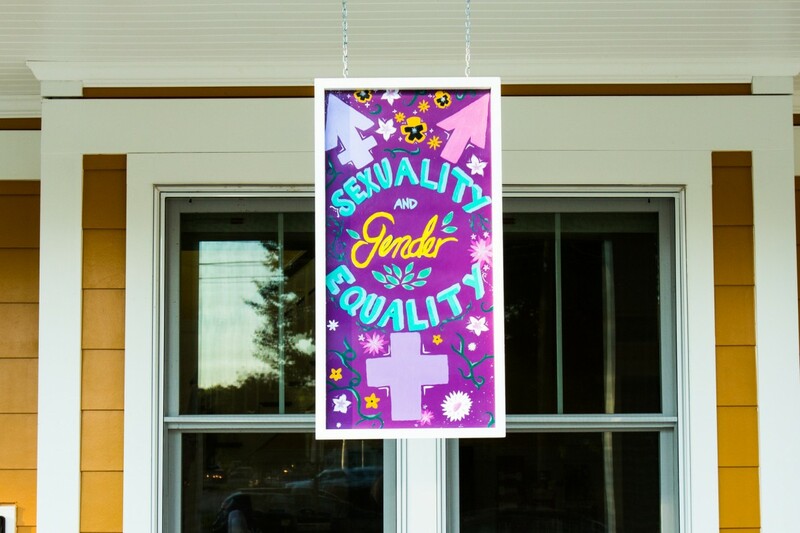 Members of the Sexuality and Gender Equality House (SAGE) focus on justice and equality issues within female and LGBTQIA+ populations. Students can partner with different social justice clubs and groups to attend marches in DC or in Columbus. 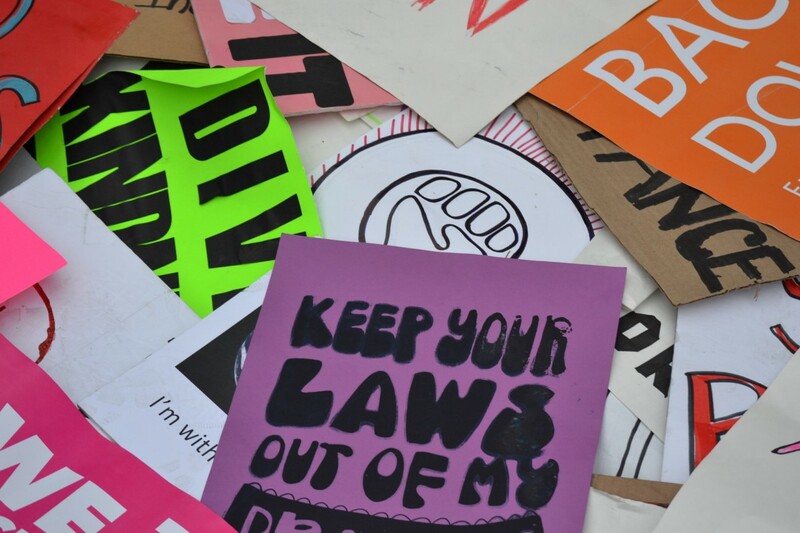 Recent marches include women's rights, gun control and climate change awareness. 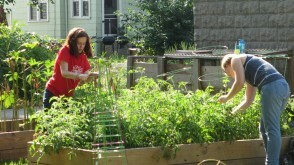 Students participate in a food justice project to help aid food insecurity within the community. Students on Interfaith Service Teams can participate in environmental, LGBTQ+, religious, political, or civil activism and service. 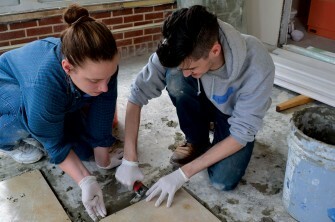 Working with the St. Bernard Project is a popular option for Spring Break Interfaith Service Trips. 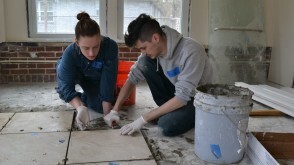 The St. Bernard Project was started by an OWU alum and works to reestablish community in the Lower Ninth Ward. 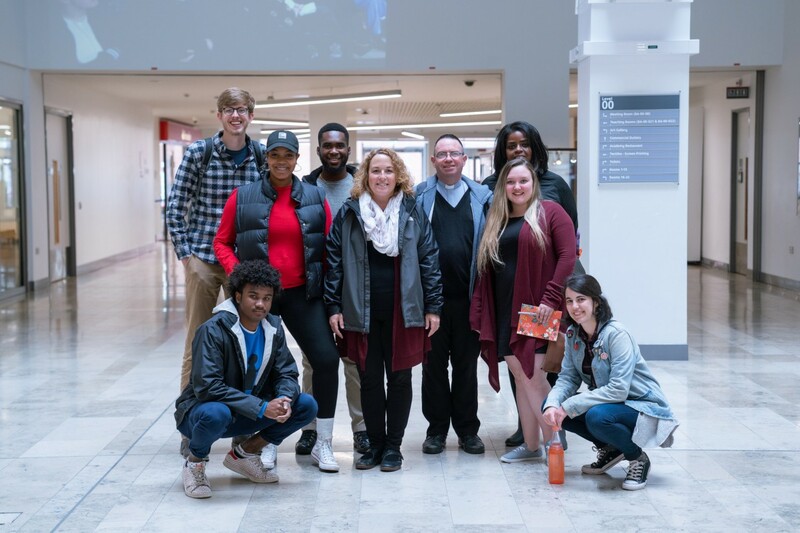 Daniel Delatte '19, Anna L. Davies '19, Eli Reed '19, Cara Harris '18, Adedayo Akinmadeyemi ’19, Lisa Ho, Leslie Melton and HannahJo Grimes '20 attend a lecture at Ulster University about the structure and monitoring of Northern Ireland's police force. 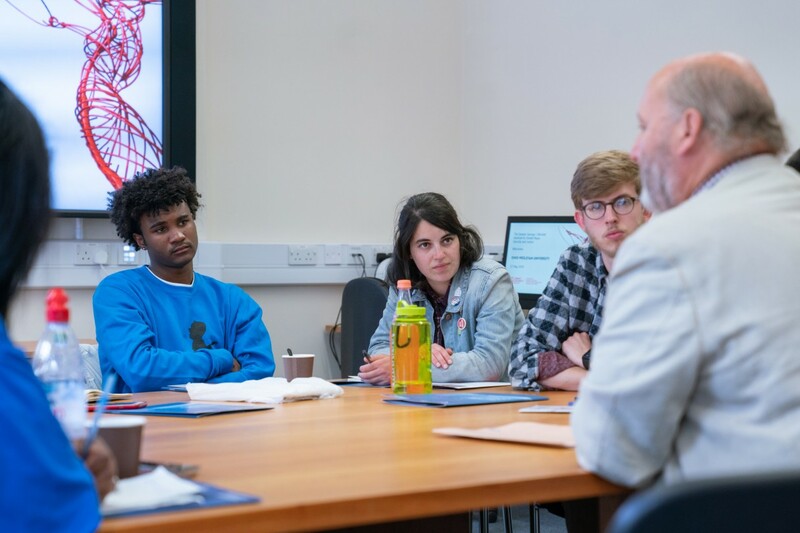 Daniel Delatte '19, Anna L. Davies '19 and Eli Reed '19 listen to two sociologists from Queens University Belfast explain the sociological differences between sectarianism in Northern Ireland and racism in America. 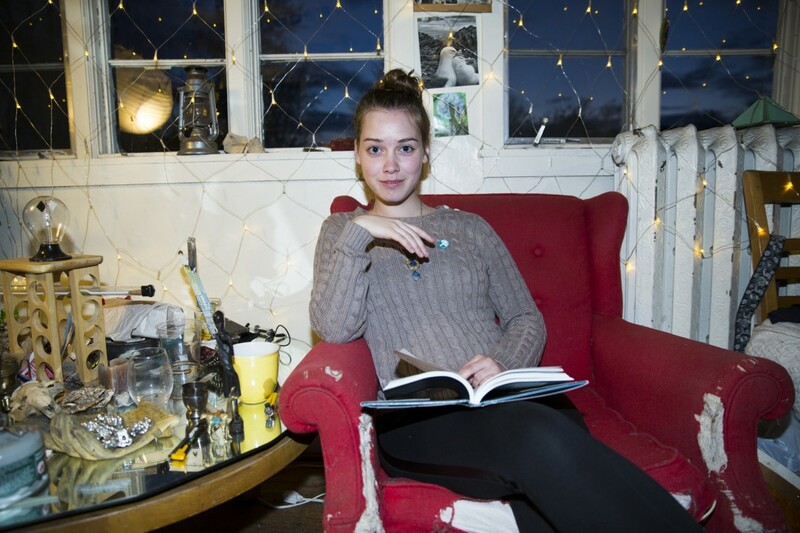 Alix Templeman '19, a resident of the Tree House, invited campus members to "Paint Your Peace" and creatively express themselves on a collaborative community art piece. She used the event as her Fall 2017 house project. 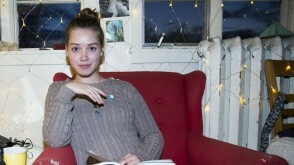 Alix is involved in environmental and feminist activism on campus. 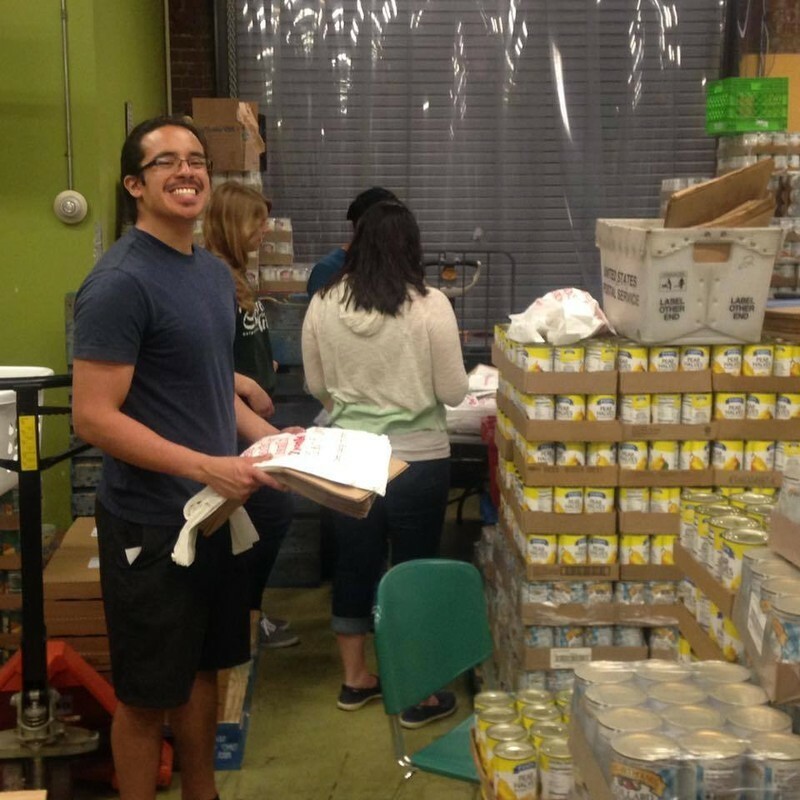 Members of the House of Peace and Justice are actively involved in on and off campus service, activism and justice. The house's common room is frequently used for meetings and documentary screenings. 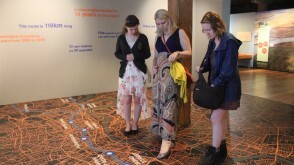 Dr. Comorau shows students Izzy Sommerdorf '18 and Sarah Gielink '20 an interactive map of London while visiting the London, Sugar and Slavery exhibit at the Museum of London Docklands. 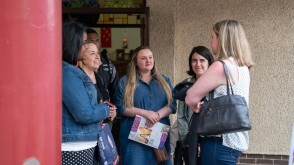 HannahJo Grimes '20 (middle), a double major in Black World Studies and Social Justice, combined her classroom learning with a Theory-to-Practice Grant to Northern Ireland and several local, community engagement activities right in Delaware. 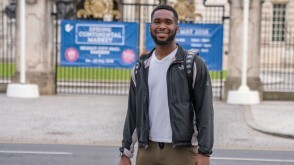 Business major Adedayo Akinmadeyemi ’19 explored his interest in social justice while traveling to Northern Ireland on a Theory-to-Practice Grant in summer 2018. 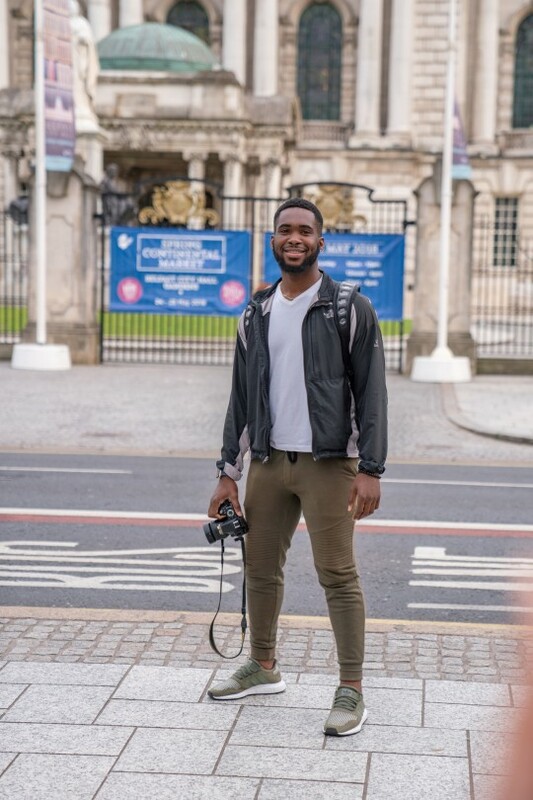 Akinmadeyemi also used his passion for photography to document every location he visited and every Belfast local he met. 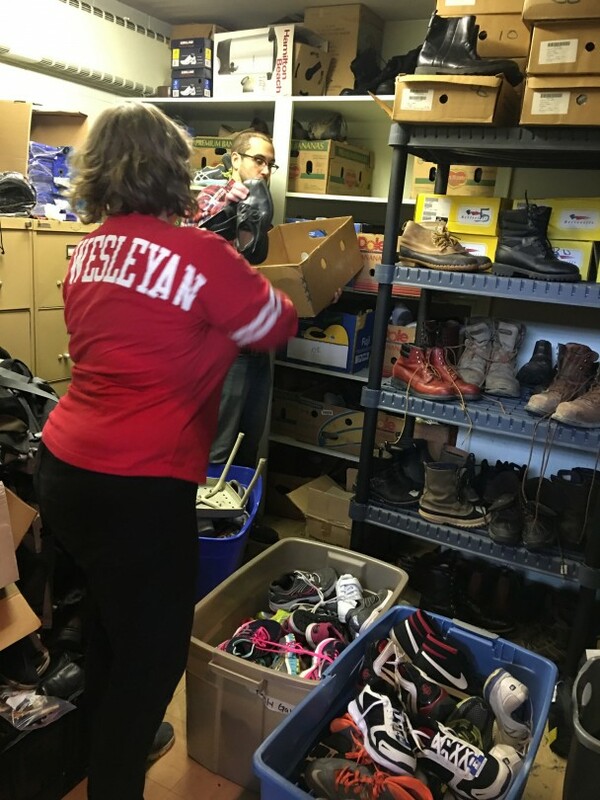 Rene Garcia '18 helps with food justice projects through Repair the World in Pittsburgh, PA.
Char Gross '20 spent Spring Break serving with an Interfaith Service Team at a Muslim mosque and community center in Columbus, Ohio. 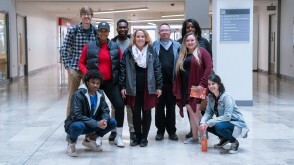 In 2018, Char co-lead a team to an Interfaith Center in Philadelphia. She lives in the Interfaith House on campus. 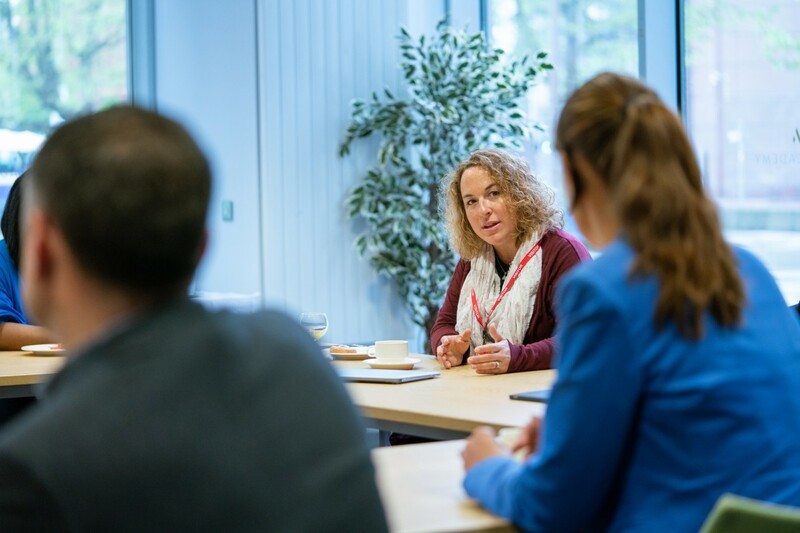 The 2018 Northern Ireland Theory-to-Practice Grant team attends a lecture at Ulster University's Belfast campus.